Welcome to Aion Core Community Development community. Like most online communities you must register to view or post in our community, but don't worry this is a simple free process that requires minimal information for you to signup. 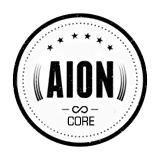 Be apart of Aion Core Community Development community, by signing in or creating an account. After creating an account, please read first our forum rules. 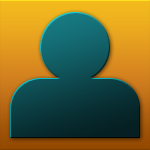 ATTENTION: registering with Log In Name/Display Name such "ab1234567890" is NOT permitted. You will be baned from the system security rules. As we are a developer community, you will need to choice between to apply as developer, if you have JAVA developer skills and Aion experience or feel free to stay as member and join the community. You will need in this case to accept some board access restrictions. But if you are not interesting in development, it's not a big deal. But, you will be able to download our final weekly development product and join the community support. Customize your experience here, maybe you will learn about JAVA, MySQL,XML, server management and much more stuff. Be active, fair and polite and you will earn respect and honor. NCsoft Corporation or Gameforge. AION® IS A REGISTERED TRADEMARK OF NCSOFT CORPORATION. COPYRIGHT © NCSOFT CORPORATION. AION LOGO, IMAGES, GAME CONTENT AND MATERIALS ARE TRADEMARKS AND COPYRIGHTS OF NCSOFT CORPORATION AND ITS LICENSORS. ALL RIGHTS RESERVED. This site is in no way associated with or endorsed by NCsoft Corporation or Gameforge.